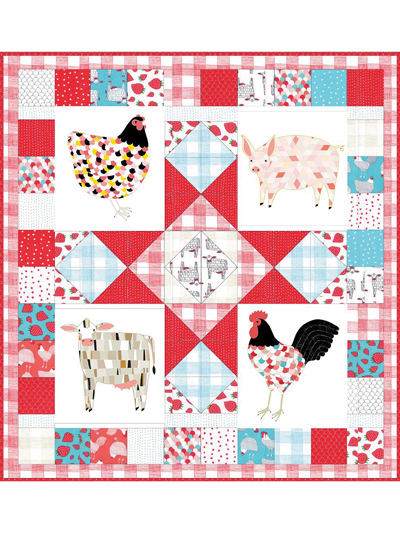 The fun colors and whimsical charm of this "down on the farm" quilt are sure to add a special touch to your home! 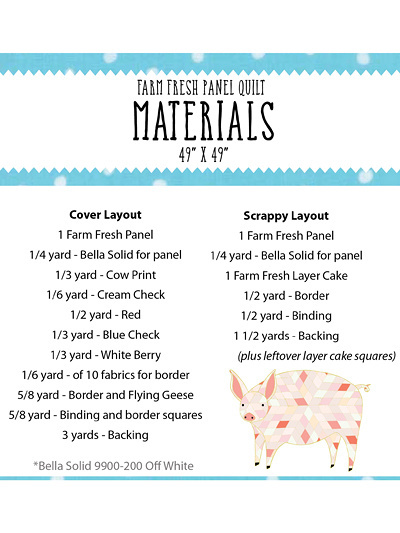 Finished design would look lovely displayed on a wall or draped over a couch! Finished size is 49" x 49".